Optimal Harmony Water Company Launches AQUA OH-! Optimal Harmony Water Company Launches AQUA OH–! September 15, 2016 – Optimal Harmony Water Company announces the launch of AQUA OH–!, a revolutionary new approach to the alkaline water market. Most alkaline waters focus their attention on the minerals or electrolytes they add to water, and only secondarily mention negative ions or ionization, which indicates a form of hydroxide. AQUA OH–! turns this formula on its head. AQUA OH–! 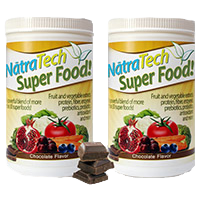 eliminates minerals while increasing the concentration of hydroxide, to become a hydroxide rich water. 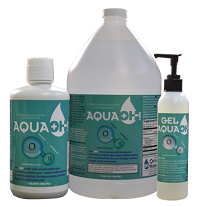 It is a shelf stable concentrate optimally calibrated so that one ounce added to a quart of distilled or reverse osmosis water produces a ready to drink hydroxide water solution with numerous benefits. What’s so revolutionary about this approach? Minerals and electrolytes merely neutralize excess acid in the body through buffering but hydroxide eliminates it by turning it into harmless water. By eliminating acid instead of just buffering it, hydroxide (OH–) prevents the excess acid from disrupting molecules in the bloodstream. This makes more oxygen available in the bloodstream and reduces acidosis, which most scientific studies say greatly reduces inflammation. Made naturally from limestone, AQUA OH–! uses the properties of water to unlock the hydroxide buried deep within this rock. Using the natural forces of heat and water, hydroxide ions are extracted from limestone and suspended in water. When ingested, these hydroxide ions help the body maintain its acid-base homeostasis. Hydroxide ions are powerful acid hunters and give the body the means by which to eliminate excess acids in the body instead of just neutralize them as other alkaline waters do. The power in the hydroxide ions is that they seek out hydrogen protons (the cause of acidity) and combine with them to form harmless water. Because the body is so intimately acquainted with water, it instinctively knows how to utilize the hydroxide ions AQUA OH–! provides to help restore optimal harmony. By moving beyond mere neutralization of acid, to actually eliminating it, AQUA OH–! is alkalinity surpassed: hydroxide water perfected. It has more free hydroxide than any other product on the market. Optimal Harmony’s mission through AQUA OH–! is to make the words “hydroxide water” household terms. When Dr. Keith Kantor, one of the nation’s leading nutritionists, was introduced to AQUA OH–!, he immediately recognized the revolutionary nature of the product. Seeing that it offered a far better approach than other alkaline waters he agreed to become the national spokesperson for AQUA OH–!. Dr. Kantor has appeared on FOX News Channel, and numerous media outlets across the world and is considered the number one published nutritional scientist in the United States. He is the founder of Nutritional Addiction Mitigation Eating & Drinking (NAMED), a nutritional program that works with addiction withdrawal and mental illnesses. He is also the author of the books What Matters and The Green Box League of Nutritious Justice. Additional information about Optimal Harmony Water Company and AQUA OH–! may be obtained at www.optharmony.com. The site features an extensive Science section explaining AQUA OH–!. Since this is a private site, please use the promotional access code aquaoh to enter the site.